From shopping to banking, this is a question most of us ask before taking any online action. Looking at the way mobile apps like WhatsApp, Uber and Instagram have gained users by the billions, it is natural for any church leader to think that may be his or her ministry also needs a mobile app of their own. Isn’t a mobile app a must-have these days? – Having a mobile app for a church is perceived to be as important and as basic as having a website for the ministry. They have it, why shouldn’t we? – Looking at the mobile app of another ministry creates a FOMO (Fear Of Missing Out) effect on church leaders. Isn’t it the best way to reach the next generation? – Some churches are led to believe that a mobile app is some kind of a miraculous tool that will help them reach the younger generation. We got this low-cost monthly-payment offer from an app developer, it sounds good. – Many companies see the need in this space and heavily promote an easy, not-so-expensive subscription-based mobile app plan to smaller ministries (or a super-expensive custom app to larger ministries). While there is nothing wrong in entertaining these thoughts and while all of these statements have some level of truth in them, the big question is: are they true for YOU and YOUR ministry? Does YOUR church really need a mobile app? It is important to answer this question and gain clarity before taking the plunge and hiring a company to develop an app or subscribe to one. Because there is another side to the mobile app industry that many people don’t generally talk about. The unseen high-failure-rate side. On an average, worldwide, only 10 apps are used each day by smartphone users (see chart below). Now compare that with more than 3 million apps in Android Play Store and more than 2 million apps in Apple App Store! It is a really crowded space, with millions of apps competing for a few inches of the audience’s screen space and mind space. So, just building a mobile app for your church does not mean that it is going to be a roaring success or a transforming agent for your ministry. 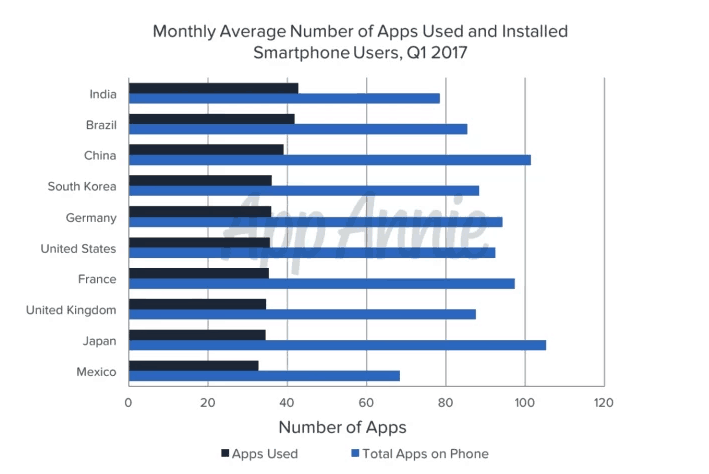 But inspite of the odds, I believe churches and christian ministries have a higher chance of winning in this crowded mobile app market compared to other commercial apps. Simply because of the ‘community’ factor. Church mobile apps have a unique advantage: there is a captive audience (church members and ministry supporters) for most of the apps from day one. These are sincere followers who are looking forward to using the app on a regular basis for a specific need. So, if a church develops a mobile app after careful considerations, clarity of purpose and in a way that is useful for its audience, there is no reason why it cannot succeed. 1. Purpose Question: What ministry goals will a mobile app help you accomplish? I recommend that you brainstorm with your team (or with your well-wishers, if you are a smaller ministry) and write down the list of goals or purposes that you hope to accomplish using a mobile app. After doing that, review each goal and see if it can be accomplished by an existing tool like a mobile-responsive website or an existing app in the market and tick them off the list. 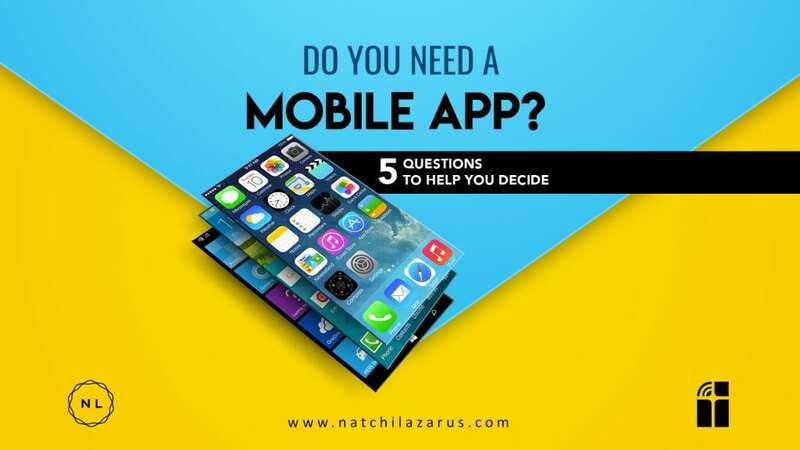 At the end of this exercise, if you still have a substantial number of goals in your list, then consider building a mobile app. If not anything, this exercise will help you create a requirement-document for your app developer. 2. People Question: How will the mobile app help your audience or church members? List down the various ways in which your audience will use your mobile app. For example: If you are a church, one of the ways people can use the app is to watch the sermon archives or easily make a donation. List down the ‘use cases’. After listing them down, do the same exercise that we did earlier and see if this can be accomplished using an existing asset, may be with slight modification or with a low-cost programming work. 3. Pricing Question: Which is more cost effective, a mobile website or a mobile app? Look at your budget and see if a mobile app is the best use of your budget to accomplish the ministry’s immediate and important goals. Moving your ministry forward should be of higher priority than having a new shiny mobile app that people may or may not use. Unless, of course, you are sure that the app will help you move to the next level based on points 1 and 2. In case most of your goals can be accomplished with a slight modification to your existing mobile-friendly website, spend your money doing that (which might be much more cost effective than developing or subscribing to an app. 4. Team Question: Do you have a team that can manage and maintain the app? Developing an app is one thing, maintaining it is a totally different thing. How will you maintain the ‘freshness’ of the app? How will you upload content on a regular basis? Do you need a technology team to troubleshoot? Think about these aspects before building an app. 5. Integration Question: Are you offering a seamless experience for your audience? Will the mobile app integrate well with all the other online assets of the ministry, like websites, social media, etc. From a user perspective, a mobile app is another tool to access the same organisation. They will expect the same experience that they have with other aspects of the ministry on the mobile app too. So giving them a seamless ‘oneness’ is important. The content, branding, design and functionality should all be aligned well with the ministry brand positioning. Hope this helps you make the right decision about your mobile app-building strategy. Using the comments section, let me know if you need any specific inputs to help you make a decision about mobile app development. Happy to help.